(Stock image for illustration purposes) Tensions rose in recent weeks after purported intrusions by Malaysian vessels into Singapore waters, and the city-state proposed new landing procedures at an airport that Kuala Lumpur claimed would lead to violations of its airspace. SINGAPORE: Singapore warned Malaysia Monday it is ready to defend its interests after a flare-up of maritime tensions, the latest sign of fraying ties since a change of government in Kuala Lumpur. The neighbours have had testy relations since Malaysia evicted the island from the Malaysian Federation in 1965, ending a brief and stormy union of the former British colonies. Ties have gone up and down over the years but have been shaky since Malaysia’s Tun Dr Mahathir Mohamad – who has long had a prickly relationship with Singapore – returned to the premiership with a shock election victory last year. Tensions rose in recent weeks after purported intrusions by Malaysian vessels into Singapore waters, and the city-state proposed new landing procedures at an airport that Kuala Lumpur claimed would lead to violations of its airspace. In the latest incident, the chief minister of Johor – the state closest to Singapore – visited a Malaysian ship anchored inside what the city-state claims are its waters. Singapore called off a scheduled meeting of officials from both countries in protest. 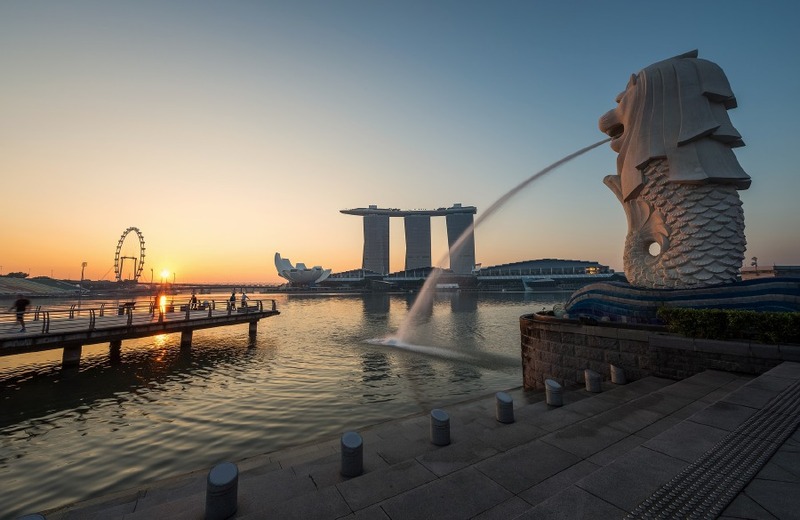 In a speech to parliament, Singapore Foreign Minister Vivian Balakrishnan warned: “We will always take appropriate measures to safeguard our interests, and any country dealing with Singapore must not assume that it is cost-free to embark on any adventures or antics against us. Tensions eased last week when foreign ministers from both countries agreed during a meeting in Singapore to take steps to calm the airspace and maritime rows, but the Johor chief minister’s visit has raised the temperature again. Ties were warm between the neighbours under the last Malaysian leader Datuk Seri Najib Razak, but have quickly started to fray since the return of Mahathir, 93, who had a first stint as premier from 1981 to 2003. Some observers trace Mahathir’s long-running animosity towards Singapore back to his fractious relationship with the city-state’s founding leader Lee Kuan Yew. During his first stint in office, rows erupted frequently over everything from water – Singapore gets much of its water supply from Malaysia – to the Malaysian leader’s plan to build a bridge connecting the neighbours to replace the current causeway. The project never took off.